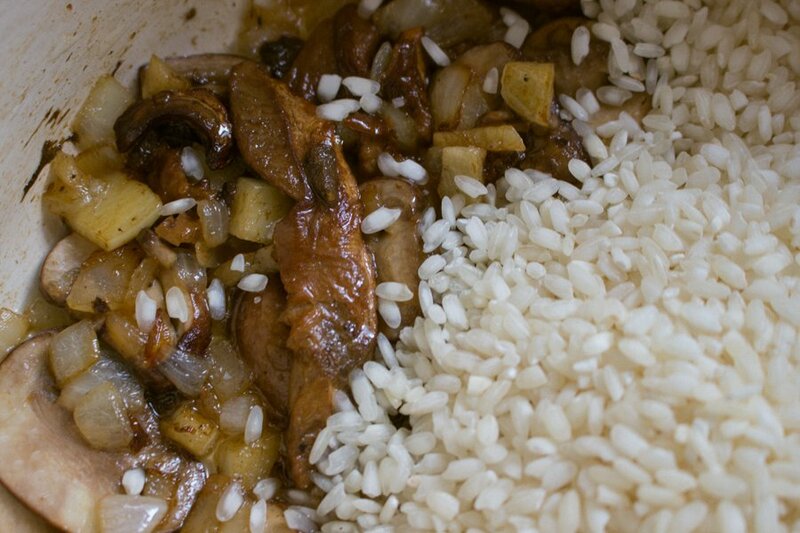 I love risotto and I love wild mushrooms. 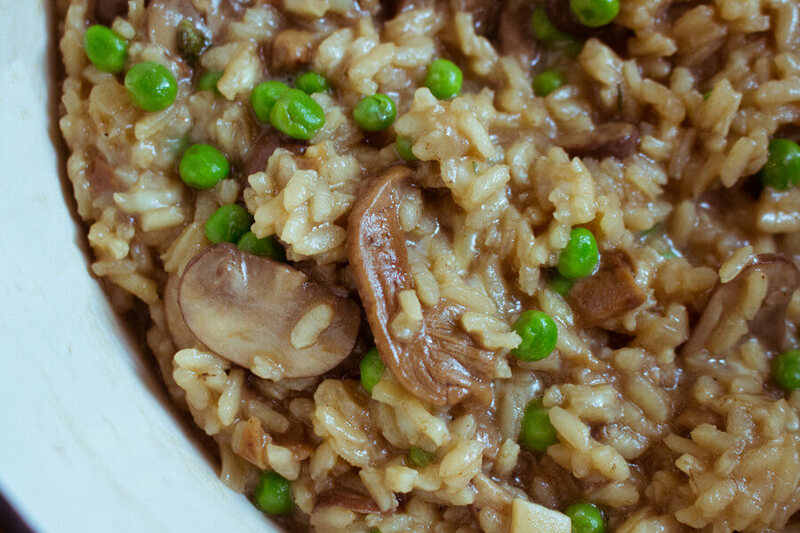 So when I first made this wild mushroom risotto, I might have shed happy tears. The first time I ever had wild mushroom risotto, I was on a date with Abdel. We went to this very fancy Italian restaurant in Miami. I remember meekly asking the waiter what was his favorite dish, instantaneously he said “well that has to be risotto”. I ordered a bowl and my love affair with this oh-so comforting dish began. I had it once a month, I just could not be stopped. I would find myself dreaming about a big ol bowl of creamy mushroom risotto. Now there are dozens and dozens of variations to Risotto. You can change it up by stirring in fresh pumpkin, adding lots of fresh herbs, or spring vegetables…you name it, it can be added to your risotto base. 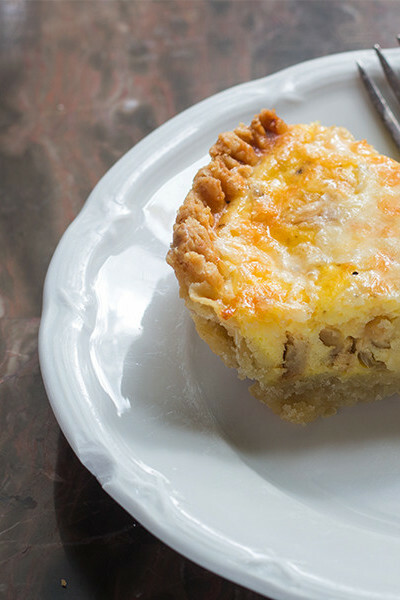 This is one of those things like a quiche or a frittata that you can add whatever you like. 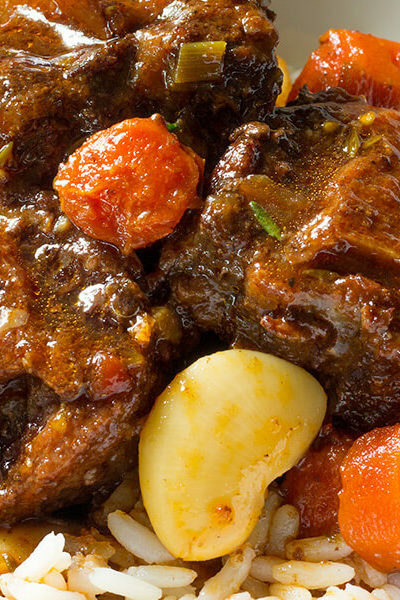 If you have those errant vegetables in the fridge, you can add them. It will be magical, I promise. 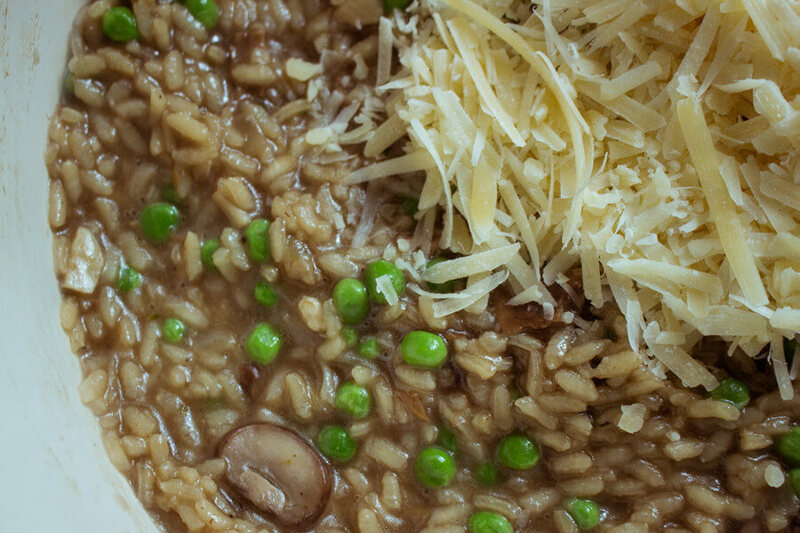 The only downside (if it qualifies as a down side) to Risotto, is that it takes around thirty minutes to make. Those thirty minutes are spent adding in broth to your rice then stirring (and repeating that about 6 times) until it reaches the right texture. When you make this wild mushroom risotto you are literally tied to the pot— well maybe not literally tied but you get the idea. You are literally going to be slaving over the pot though —well maybe not literally slaving over the pot but you get the idea again. But when it is done…. man oh man –is it GOOD! PRO TIP: The key to a good risotto is to stir constantly and to also make sure your broth is heated up. 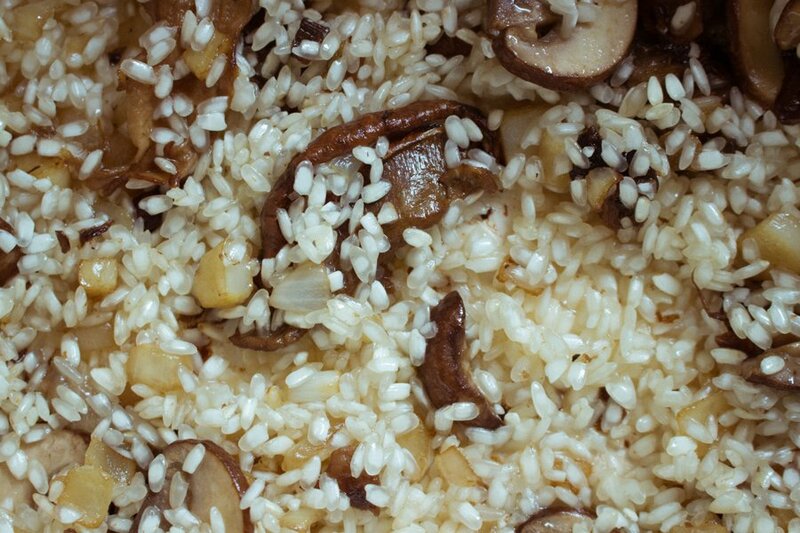 Nothing says risotto better than the first version that I had... wild mushroom risotto. In this recipe I added frozen peas. 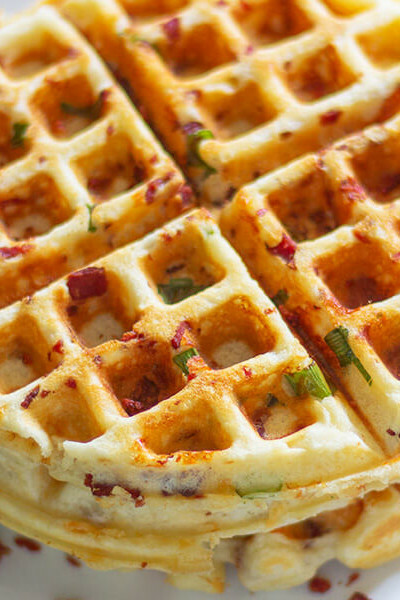 Grate 2 cups of cheese and set aside. Finely dice 3 cloves of garlic. Dice 1 large onion( this is when you want to make them small and pretty). Heat vegetable broth on medium heat in a separate pot. 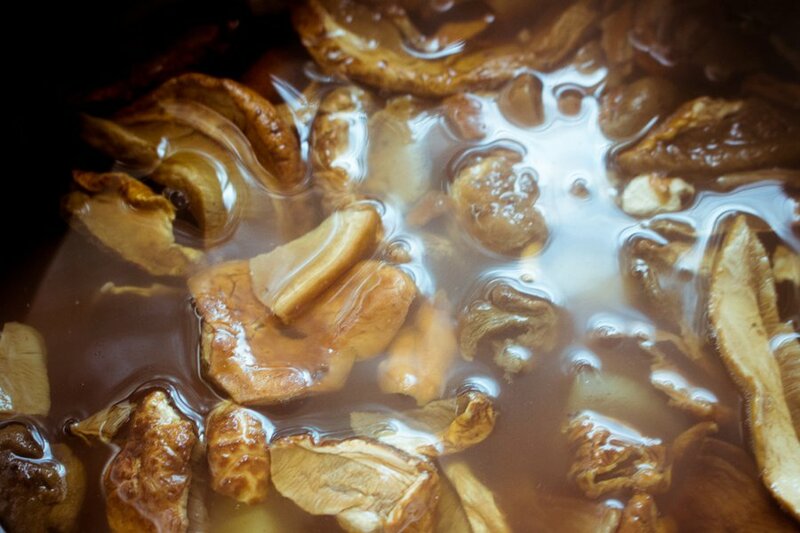 Take out 1 cup of your broth and add to the dried porchini mushrooms. Allow to rehydrate then remove the mushrooms making sure you get rid of the grit from the mushrooms. set aside. Heat a large pot (I used my dutch oven) over medium-low heat and add 1 tablespoon of Olive Oil. Then add 1 tablespoon of butter. Throw in the garlic and onion and sauté for 4-5 minutes until the onion is translucent. Add your mushrooms. Add 1 pound of Arborio Rice and stir to coat the rice thoroughly. Adding 2 ladles at a time, add 7-8 cups of broth, stirring constantly after each addition. As soon as it appears that the rice has absorbed each helping of broth, add in the next helping. Do not stop stirring. This process will take at least 20 minutes. Rice is done when it no longer has a hard bite. Next add the grated cheese and stir thoroughly. Add in plenty of fresh cracked pepper. Add salt to taste. Make it now and thank me later...Enjoy!!! It’s official. I’m hungry for rice and mushroom. This dish looks awesome! This risotto looks awesome! 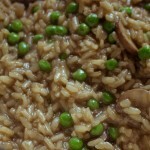 I love the mushrooms and peas in it! 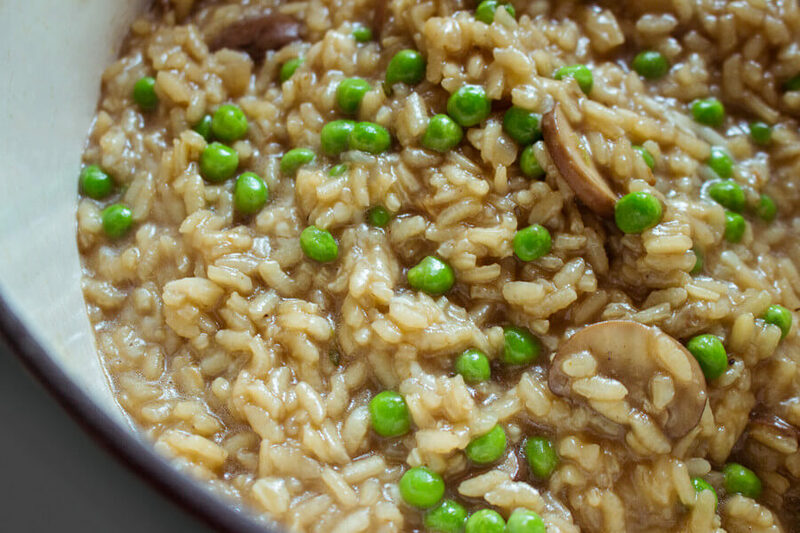 I’m so obsessed with Mushroom and Peas right now, so yummy! This looks extremely tasty! 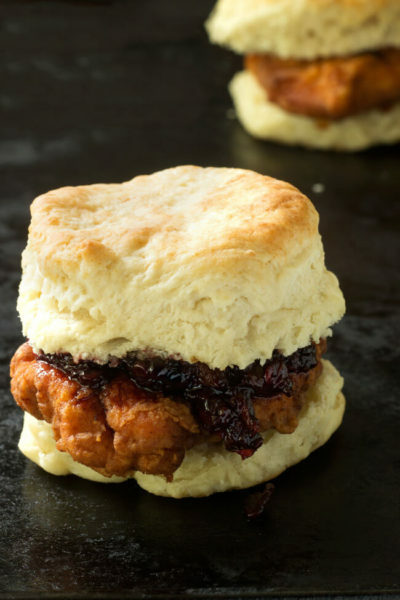 I’ll be adding this to the menu this week! Awesome! Hope you like it Marsha! That looks amazing and I love mushrooms, yum! A must try for sure and your photos are beautiful. Hehe Risotto is something I just can never get right! This looks delicious, think I will have to give this another go. I am definitely not a natural in the kitchen. 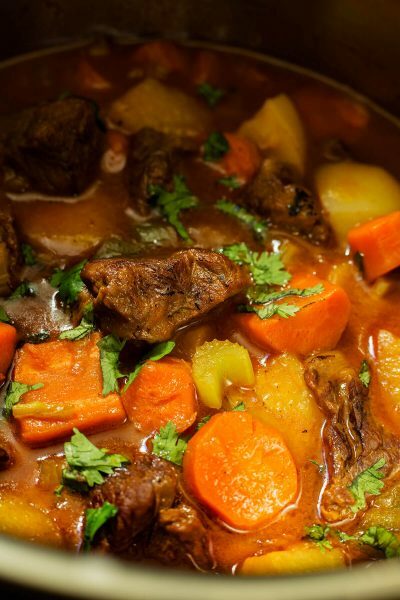 I was the same way until I realized that if the broth is warm as well the texture comes out great! Hope you like it Amanda! ThIs looks awesome! I love everything with mushrooms. Yes, mushrooms make the world go round! Hope you like it Sara! Thanks Shanique! 🙂 We are one in the same! This looks so good! Adding it to menu for next week. I am planning to make risotto for a long time now. Looks delicious! Make this as soon as possible. Risotto is everything! I’m totally biased though. This looks soooo good. I need to try this over the weekend. 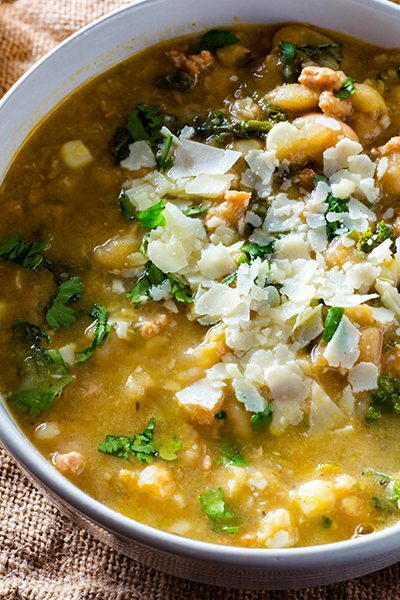 We love risotto and I will definitely be trying this yummy version! My hubby loves mushrooms and I love peas so this sounds like a match made in heaven! 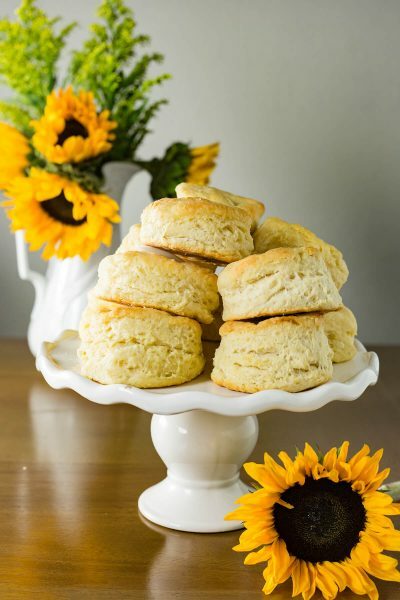 Thanks for sharing this delicious recipe, Ann!! That sounds like my husband and I 🙂 You are so welcome. Enjoy your weekend.